Congratulations to the winners and many thanks to all who entered, especially those who ‘Shared’ and/or ‘Tweeted’. Ashampoo has most kindly donated 10 licenses for the undisputed world champion in the burning software division, Ashampoo Burning Studio 18. This is the very latest Ashampoo Burning Studio which hasn’t even been released to the public yet, official release date is 28th November, and you now have the chance to be one of the very first owners of this outstanding burning suite for absolutely free. Burn everything from simple data discs to highly complex movies with subtitles – you name it. 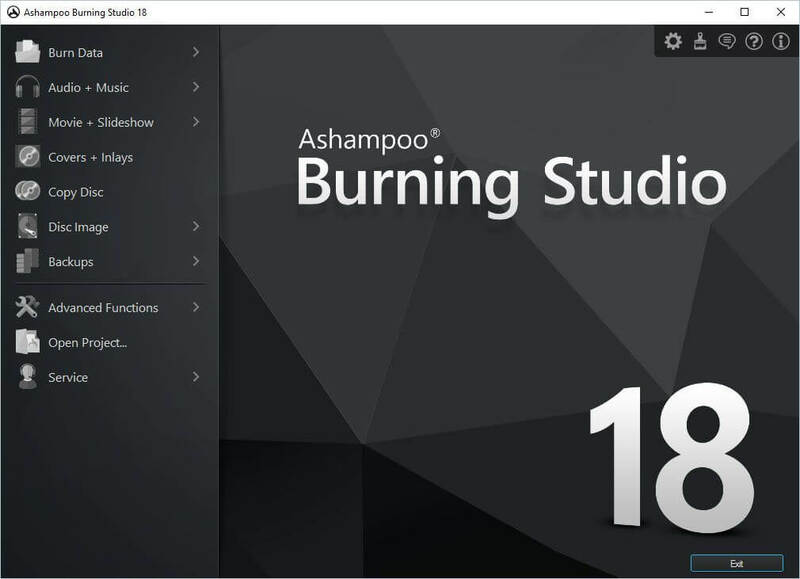 The new Ashampoo Burning Studio 18 is an even more versatile burning application that burns files, music and movies to any disc type. Extensive multimedia capabilities not only include the creation of audio discs with individual covers but also provide everything needed to realize complex movie projects with animated menus, custom themes and smooth cuts. The redesigned slideshow module comes with a dedicated wizard that guides users through the basic setup and ensures quality results every time. While Backup features include support for high security media, disc spanning and strong password protection. For the first time, Burning Studio now also comes with a module that specifically targets the creation of music discs and USB flash drives for use with car radios. Aside from individual sort orders and easy playlist imports (e.g. from iTunes or Windows Media Player), various device presets ensure maximum compatibility with common car radios. Anyone who has read my previous Ashampoo Burning Studio reviews will already be well aware that I consider this to be the very best burning suite on the planet. I can’t even remember the number of the first version I installed way back when but Ashampoo Burning Studio has always been installed on all my systems. The combination of Ashampoo Burning Studio’s amazingly comprehensive feature set, sheer ease of use, quality results, and 100% reliability makes it second to none. We’d appreciate it if you’d take a moment and submit a comment telling us why you’d like to win Ashampoo Burning Studio 18. However, submitting a comment is not required to enter this contest and will have no bearing on your chances. For your chance to win, simply enter your name and valid email address in the spaces provided below then click Enter Contest. After your entry is accepted you will be presented with options to share the contest on Twitter and/or Facebook. For each person that enters the contest as a result of your share you will earn 2 extra entries as a reward! Sharing the contest on social media is completely voluntary, but encouraged. To enter: simply submit your name and a valid email address. You must submit a VALID email address. We need to contact the winner so disposable email addresses will not be eligible. Additional entries may be earned by voluntarily sharing on Facebook and/or on Twitter. Shortly after the contest ends the winner(s) will be chosen at random. The winner(s) will be notified by email at the email address used to enter the contest – be sure to use a valid email that you check regularly. Winner(s) must claim their license within 5 days. After the five (5) day period, unclaimed prizes will be distributed at DCT’s sole discretion. Entrants agree to allow DCT to communicate with them by email using the address provided by the entrant when entering the contest. Coming Soon – DCT’s Christmas Giveaway! Soon we’ll be presenting our Christmas hardware giveaway. This one is pretty special, we’re excited about it and we’re sure you will be too. Keep an eye on our Facebook page or subscribe to our newsletter for all the details. I use and enjoy Burning Studio 2016 but I see that Burning Studio 18 has a lot more functionality, especially with the video and car radio functions. Hope I’m one of the ten. Thanks to Daves, Jim, and Ashampoo! Same as Rex E here. I enjoyed the use of Ashampoo Burning Studio 2016 and i’m curious to discover the new funtions. Thanks for this giveaway ! 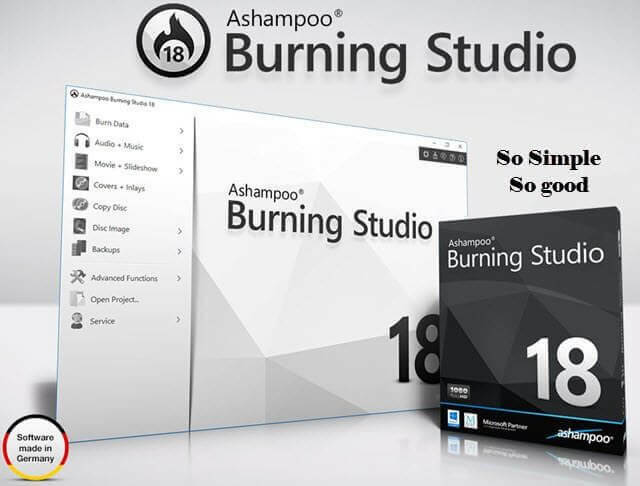 Ashampoo Burning Studio 18 is an versatile burning application that burns files, music and movies to any disc type. Extensive multimedia capabilities not only include the creation of audio discs with individual covers but also provide everything needed to realize complex movie projects with animated menus, custom themes and smooth cuts. Produktów Ashampoo Burning Studio używałem już w czasach, gdy w modzie był Nero. Ashampoo nigdy mnie nie zawiódł, jest lekki i bardzo dobrze działa na mojej konfiguracji sprzętowej. Ta wersja jest jeszcze lepsza, sympatycznie byłoby ją mieć na swoim komputerze. Would love this, Used to be a Nero user many years ago but the software tried to do much and became buggy and too slow. I’ve tried Ashampoo burning studio. It’s very easy to use, just seeming to work without any tinkering by the average user. It doesn’t slow things down like nero either. I have used Ashampoo for years. Thanks for the chance to get the newest.